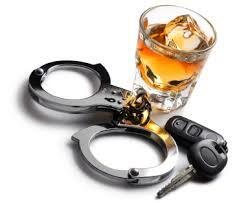 Five things you need to know about the DUI law in Virginia. The weather is starting to get warmer, which means many people start taking the time to enjoy it. Summer is approaching and it is time to make sure you are taking extra care. Summer time brings BBQs, day parties, and just overall hanging out with friends. These events often involve drinking, even if it is just having 'one beer' or 'one cocktail'. With drinking comes drunk driving. If your choose to drive under the influence of alcohol, you are putting yourself and others at risk. It’s illegal to drive “under the influence” of alcohol. Most of us have heard that the "legal limit" is 0.08 (for those of the legal drinking age, it varies for those who are not) blood alcohol concentration or BAC. You can still be convicted of DUI with a BAC under that amount. You cannot sleep it off in your car. That is still considered 'operating' your car and in Virginia that counts as a DUI. And you will be convicted. Once you get your first conviction in Virginia for a DUI, you will have to install an ignition interlock and get a restricted license. That will mean that if you are going to work, you will need to blow into this device to start your car. If you have any passengers, that could be embarrassing. Texting is a primary offense. So if you’ve been drinking, and you happen to simply text while driving, you can be pulled over. Then the officer will ask you about your drinking. When you are pulled over you do not have to take the field sobriety test, but if you are taken to the station and charged, this will be seen as a refusal. Having a 'refusal' will make it harder to defend your case. 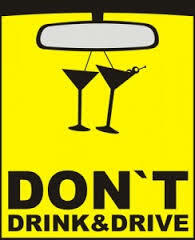 For more information on Virginia DUI laws head over to www.dmv.org. The attorneys here at Donahoe Kearney, LLP have handled many personal injury cases getting our clients the results they need and deserve against drivers who don't follow the rules of the road, or drive while intoxicated. If you have been seriously injured in an accident reach out to us, let us know how we can help you. Even if we cannot take your case, we can refer you to attorneys we know and trust.